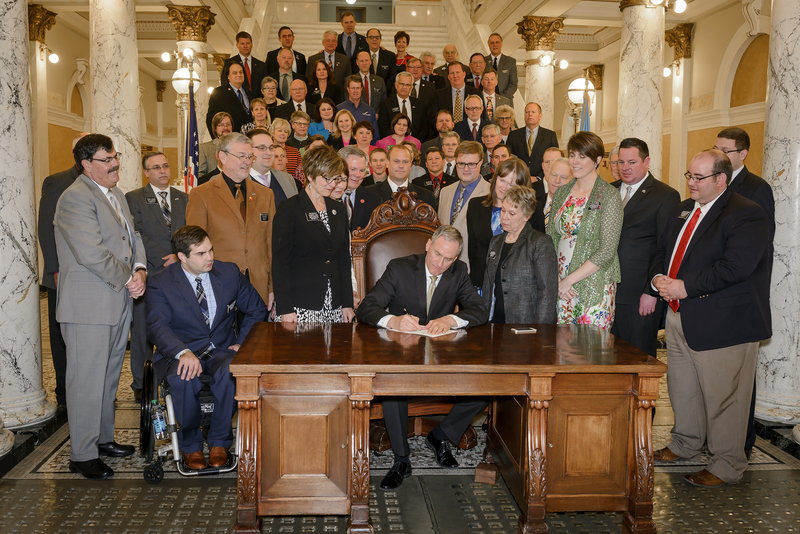 On March 11, Governor Daugaard signed into law HB 1182, SB 131, and SB 133. Those three bills made up the package that raised taxes to fund teacher salary increases, reformed the school funding formula, and created programs to help schools operate more efficiently. This site is no longer being updated. For the latest information on the implementation of the law, please go to the website updated by the Department of Education.